Crowdfunding platform Pozible will once again enable a valuable project get off the ground. 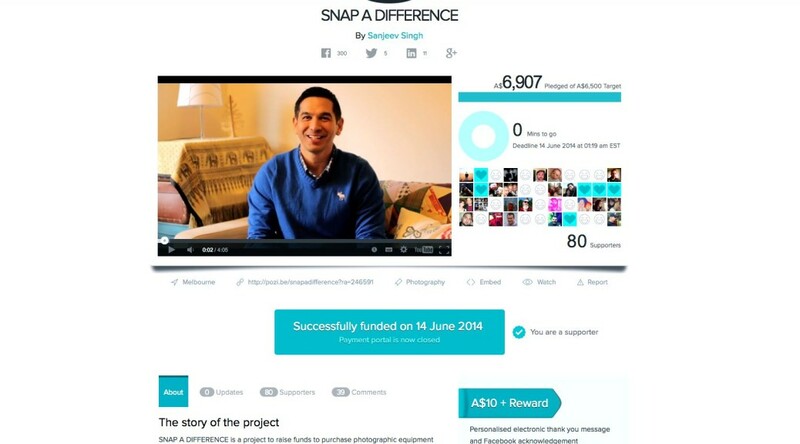 Snap a Difference, by Sanjeev Singh, has raised funds well above his $6500 target a full three days before the funding portal closes. Singh needs this money to purchase photographic equipment for pro-bono work he will commence next month creating two publications for social enterprise STREAT. It’s this project that Pozible and the many who donated to Snap a Difference have made possible. STREAT provide homeless youths with training and work experience for careers in the hospitality industry. They have grown over their four years of existence and now have cafes, catering and roasting businesses operating around the city. Singh, a self-taught photographer, will be creating a calendar and a children’s book for the group aimed at boosting funds for their training programs as well as raising their profile as a force for social change. Singh’s work on the publications will commence July 2014. Liberation Arts Network wishes him all the best in this heartfelt endeavour and will be following his progress eagerly.